A Year of Being Here: Michael Attie: "Mindful Loitering"
Park benches make the best Zendo. Far superior to black cushions and blank walls. This is what the heart looks like. Oak and Maple leaves raining on everyone. in order to write anything. "Mindful Loitering" by Michael Attie. Text as published in This Smiling Heart (Neon Buddha Press, 1995). © 1995 Michael Attie. Reprinted by permission of the poet. 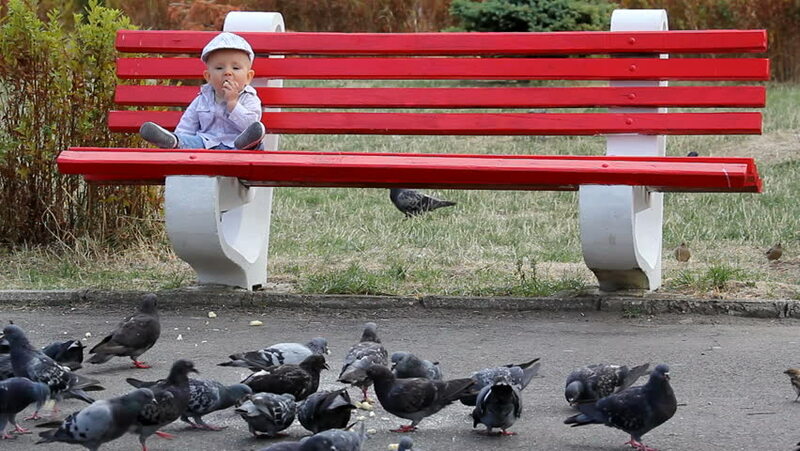 Art credit: "Baby sitting on a bench in the park, surrounded by a lot of pigeons," photograph by artoflightpro.